How many sliced pizza place feed us at lunch break? Too many. Some are good, many are cheap, other only very quick. 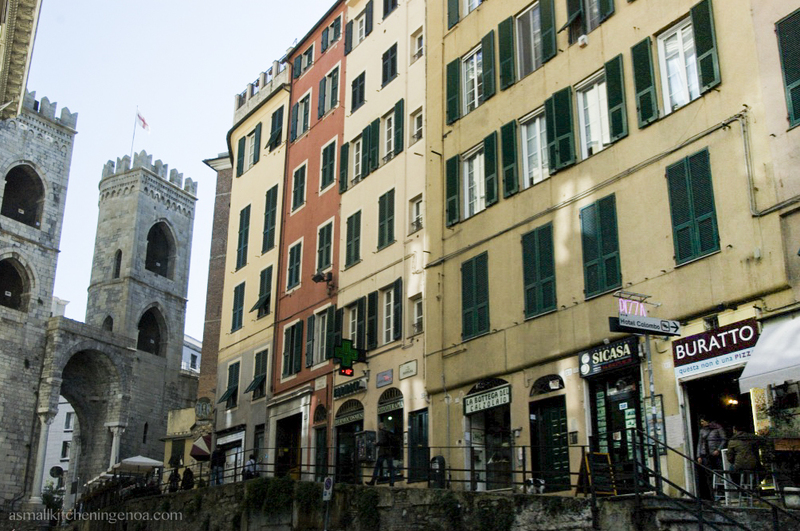 There are few places then, like the small pizzeria Buratto in Via di Porta Soprana – just below Porta Soprana, one of the three main entrances in the 12th century city walls of Genoa – which are excellent. The secret ingredient? Actually nothing new under the sun, though rare: a deep and long lasting study of the baking techniques and a careful and conscious research of the raw materials. The outcome is the best you can expect with these high ingredients: a dough extremely light, highly digestible, with a crunchy bottom and a soft core and with a seasoning rich of intense and genuine flavours, often mixed in an unusual and surprising way. 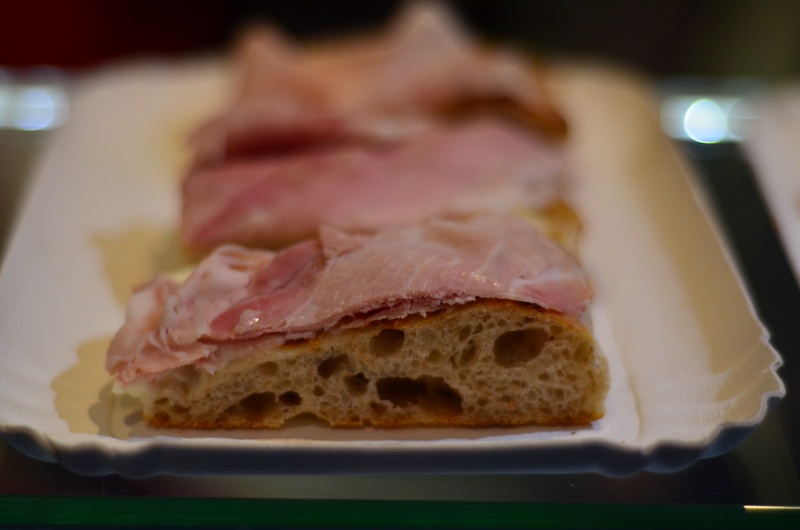 Marino, the owner, let the dough – highly hidratated – rise for 30 hours. The flour he uses is rigorously Italian, semi-wholegrain (and therefore highly nutrient) and stone milled. The sauce is made with organic tomatoes and all the veggies – that are always plentiful on Buratto’s pizzas – are all carefully selected, fresh and seasonal. 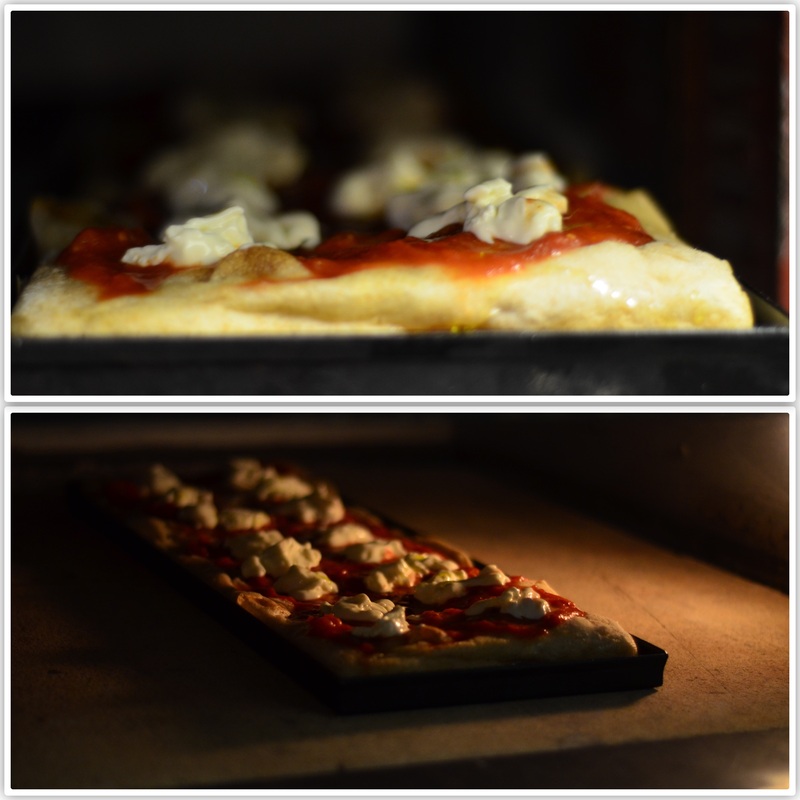 The pizzas’ seasoning is colourful and the many ingredients are spread on the dough in very small pieces and densely. Why? You get the hint at the first bite, when a number of different flavours harmonically explode in your mouth. 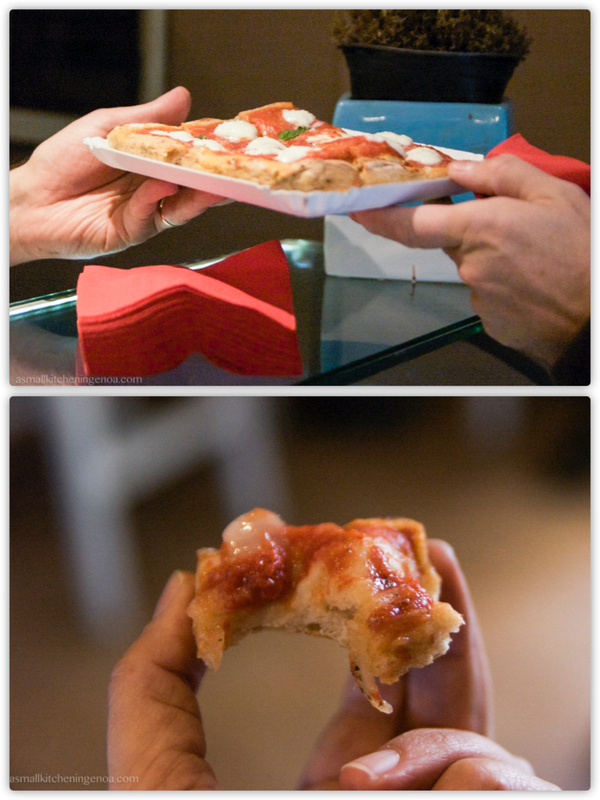 There are many types of pizza, it depends on the day of the week, on the season of course and on the fantasy of Marino. 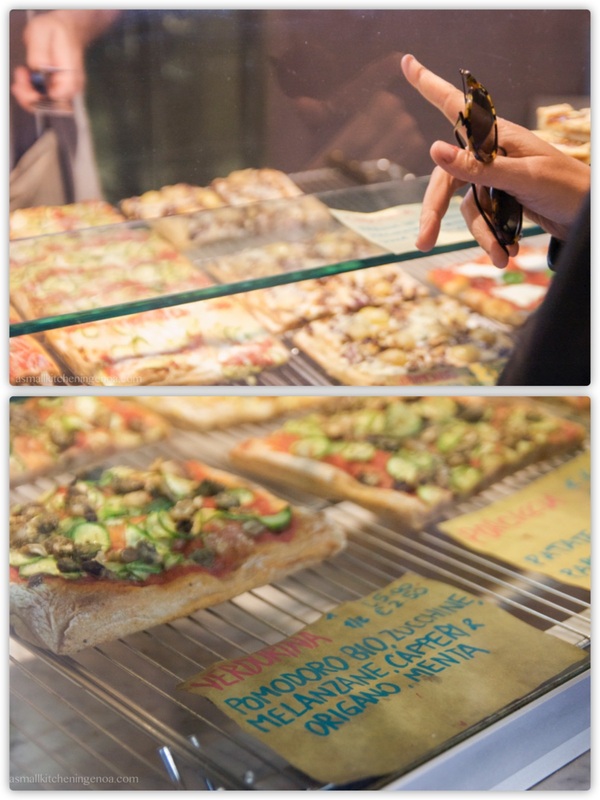 You can indeed find classic pizzas such as pizza Margherita or pizza with prosciutto, but the core of this small pizza shop are the gourmet pizzas: pizza with leeks and sausages, vegan pizza, pizza with dried cod or pizza with tripe, the one Marino is more proud of. Hence, there are pizza of any flavour and for any mood. 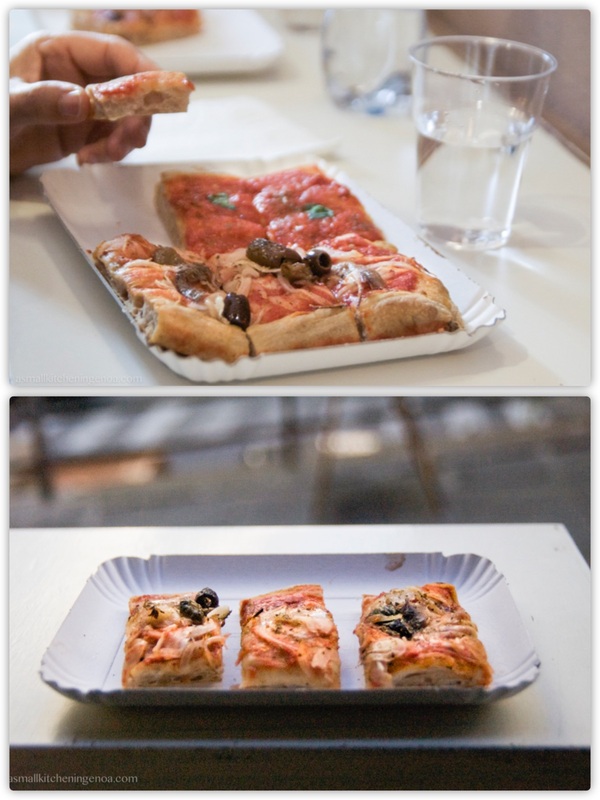 If you wish you can also order half of slice, so you can try more! 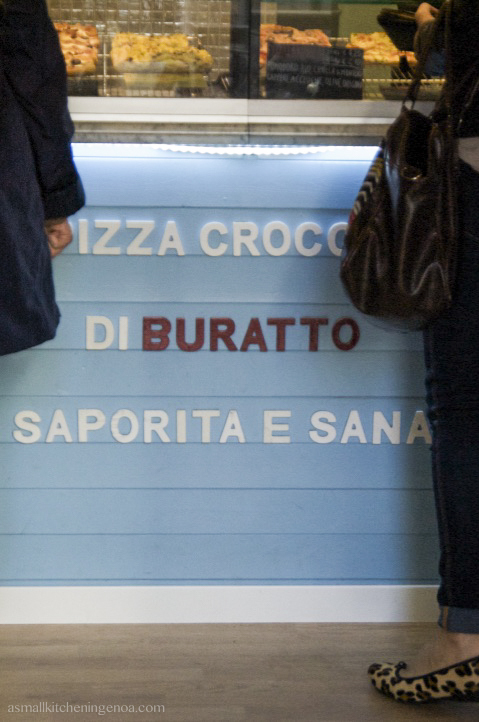 Buratto is open during the evening, as well, because Buratto’s pizza comforts us not only at lunch break but is great at home too, maybe with friends and some glasses of wine (btw: you can find organic wines at Buratto’s as well) !